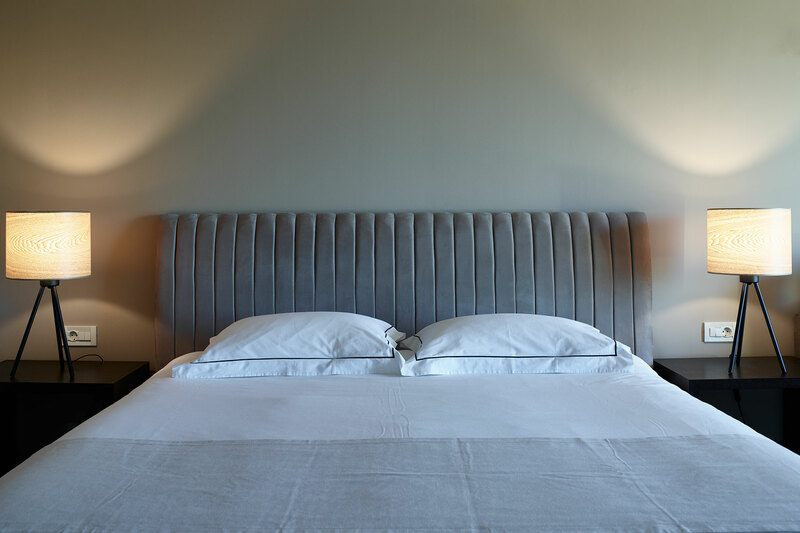 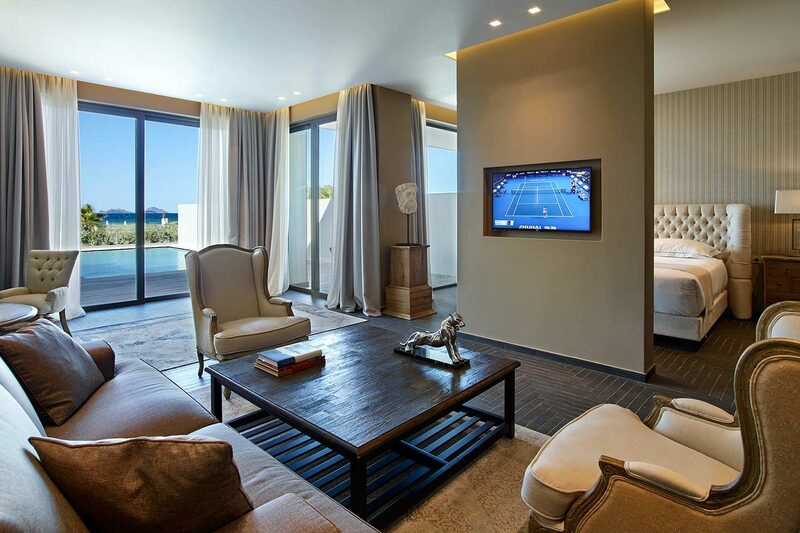 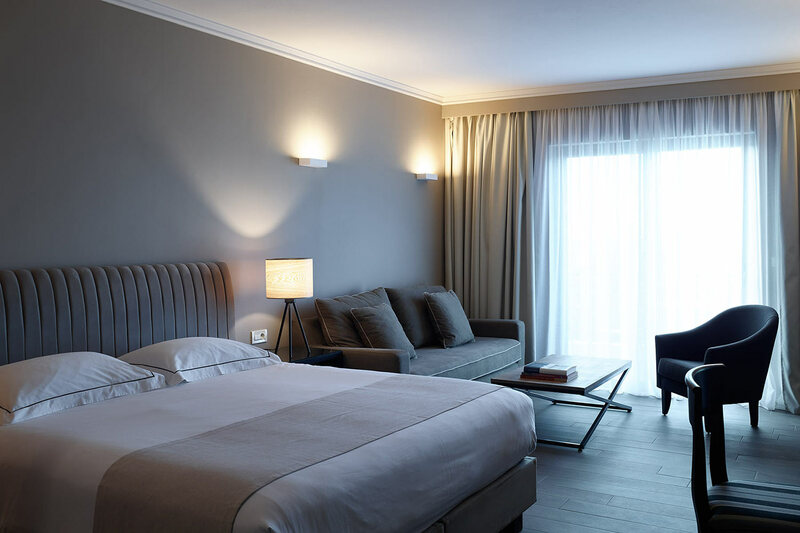 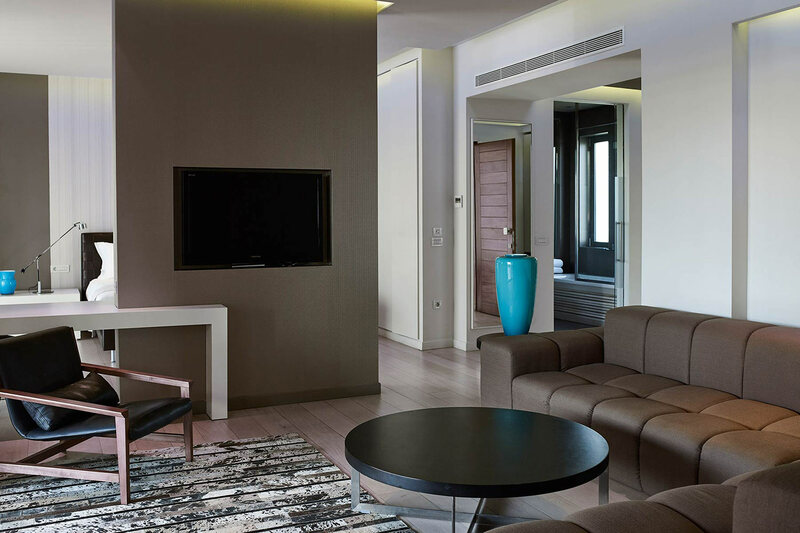 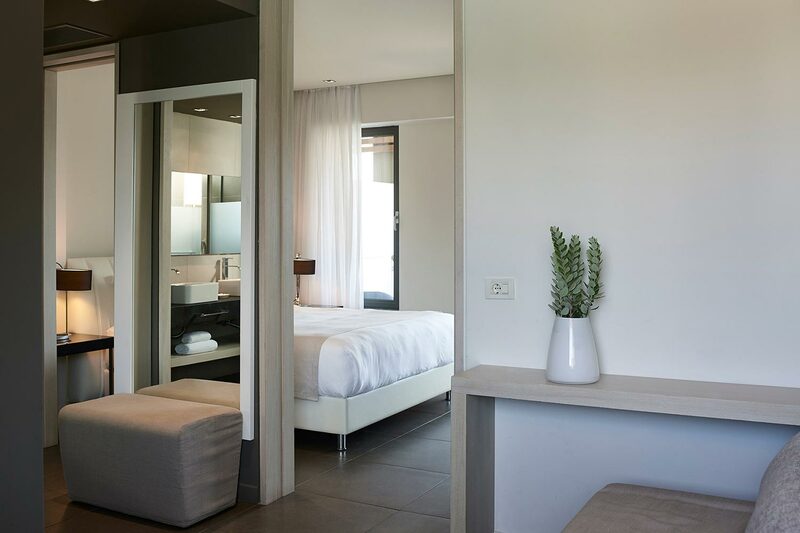 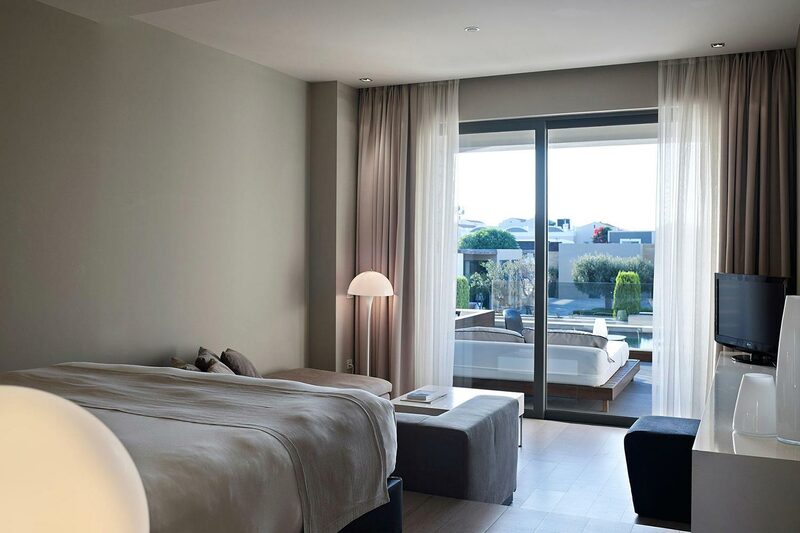 The Pelagos Junior Suites are an ideal accommodation choice for couples or small families who seek comfortable and elegant accommodation in a spacious two-floor suite that features modern amenities. 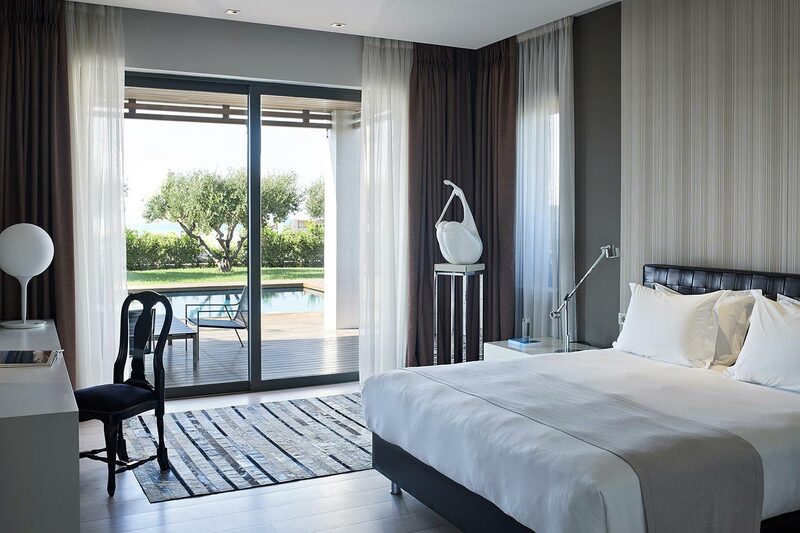 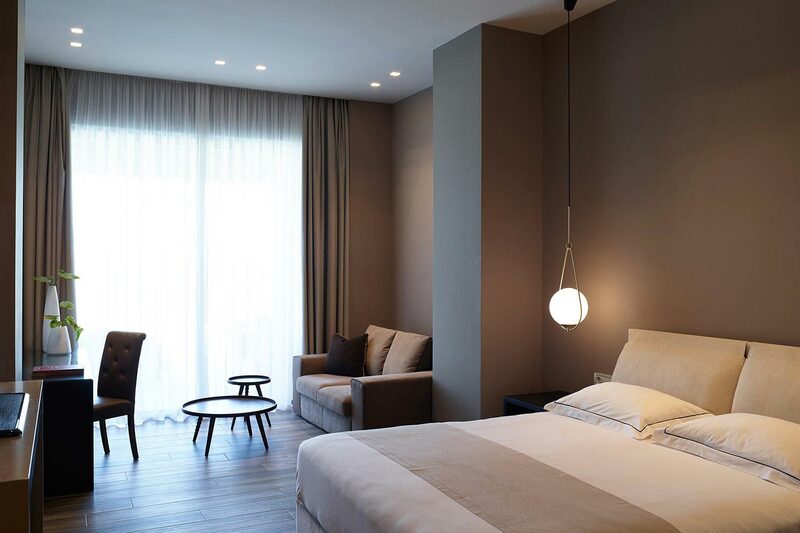 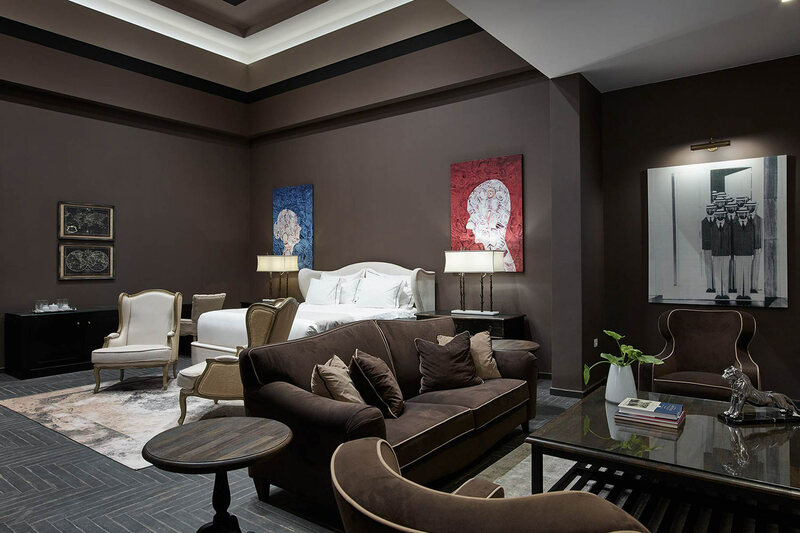 In the Junior Suites of the Pelagos Suites Hotel you will find two single beds or a double bed and a sofa bed, whereas the marble bathrooms feature a bathtub and a shower. 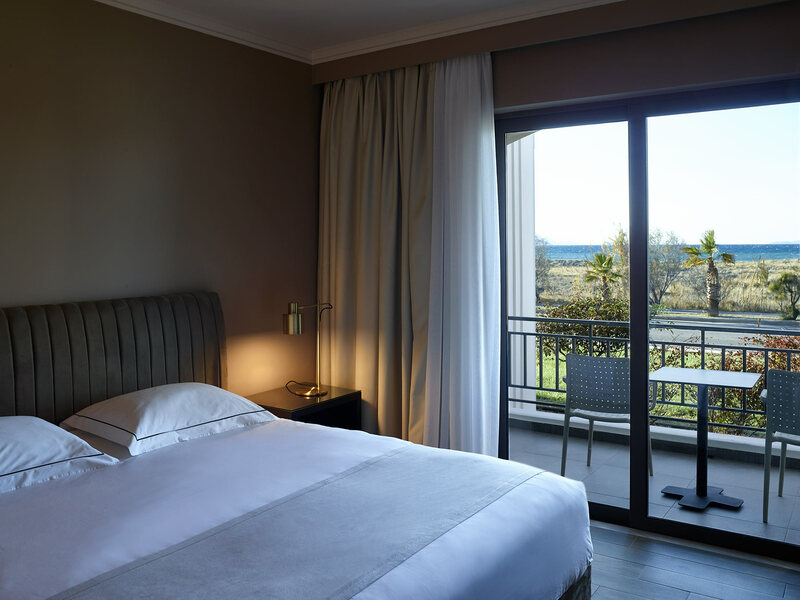 All Junior Suites have a private balcony or terrace.